The Seagulls entertain Neil Warnock's team on Tuesday in a crunch fixture and Hughton is desperate for his side to bounce back following Saturday's mauling. Brighton are still five points clear of the Welshmen as Cardiff were beaten 2-0 at Burnley. Brighton can be backed at 1/1 to beat the Bluebirds and at 5/2 to win the match by a one-goal margin. Hughton said of Cardiff: "They are going to fight and scrap and, if any team have been lifted, it might be a team lifted by our result at home. They are going to come here and give us a very difficult game. "I have a group of players that know they have performed nowhere near well enough against Bournemouth to get something from a game. Our responsibility is to make sure that we work hard enough." 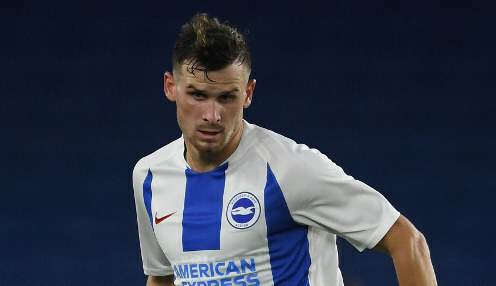 Pascal Gross could feature in Tuesday's match after recovering from a hamstring injury. The German has been sidelined since picking up the problem against Leicester City in February. Meanwhile, Solly March is set to replace Anthony Knockaert who was sent off for a dreadful challenge on Bournemouth's Adam Smith at the weekend. March has recovered from the calf injury that forced him to miss the FA Cup semi-final defeat to Manchester City earlier this month and Saturday's humiliation against Eddie Howe's team. Knockaert will be suspended for the games against Cardiff, Wolves and Tottenham.